I’ve got a fun little book to share with you today!! It’s a true story about a lucky little donkey who was rescued from a bad place and carried off to a wonderful place called Evermay Farm. Evermay Farm is a Heart Place that was established by Susan April Elwood to provide a safe, happy home for abused animals. This lucky little donkey was the first of many to arrive. The frightened donkey snorted and shivered. Whenever anyone came near him, he would back away. Not so long ago he was treated poorly and he was confused. 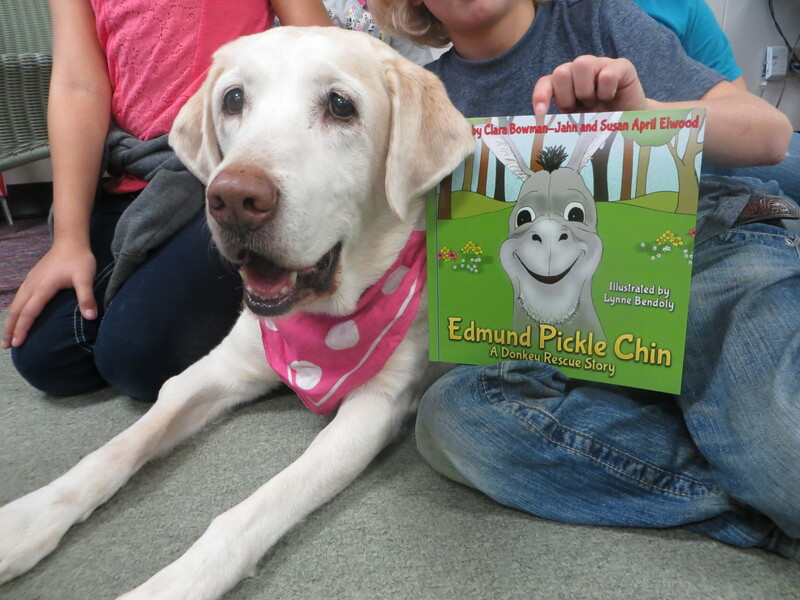 We took this book to school with us and my readers fell in love with Edmund Pickle Chin. Is that not a funny name?! It seems to fit him though. 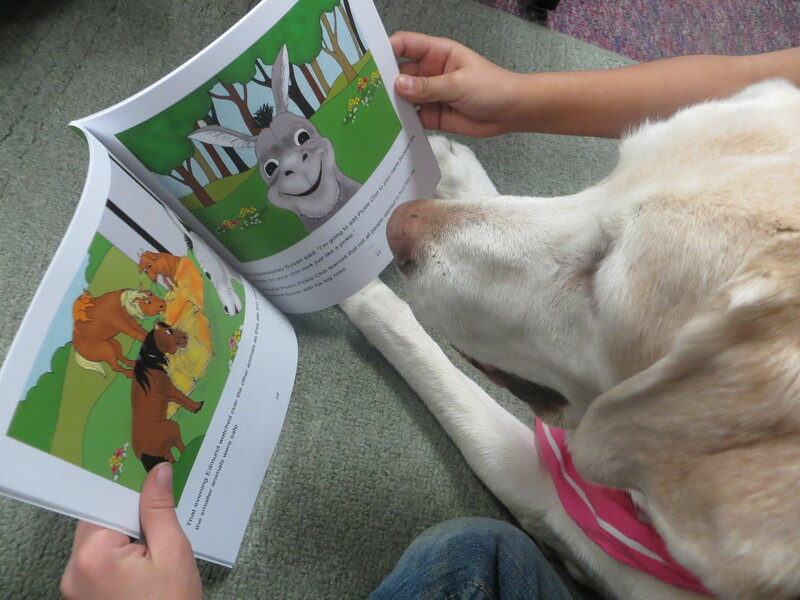 The kids liked that this tale was based on a true story about a real donkey. Ryan particularly liked the cover with that happy donkey face, and wanted to read it himself to the class. That was certainly alright by me!!!! And he did a fine job with it, too! This is the story of Edmund Pickle Chin and his transition from shy, scared, confused donkey to happy, self-assured ambassador for the farm. It took a lot of time and patience for Ms Elwood to win his trust. But she seems to be filled with love and patience. Ryan is a farm boy and he knows about patience and earning the trust of an animal. When other animals started arriving at Evermay, Edmund knew how to make them feel welcome. The kids really liked how kind Edmund was, taking care of the goats and rabbits and ponies that came to live with him. 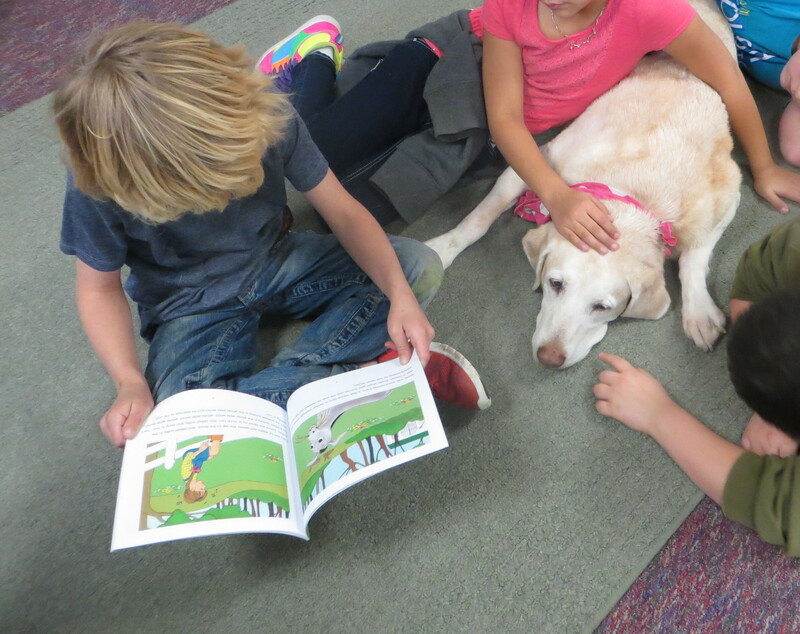 This is a story all about big hearts and being kind. We really liked the illustrations. That Edmund sure has a winning smile!! At the end of the book there are a few real pictures of the real Edmund and some of his friends at Evermay Farm. You can find out more about Evermay Farm at their website HERE. One of the authors, Ms Clara Bowman-Jahn has a fine blog of her own that you can visit HERE. She does book reviews and writer talk. You might want to go visit! You can find out more about the illustrator, Lynne Bendoly, HERE on Ms Bowman-Jahn’s blog. 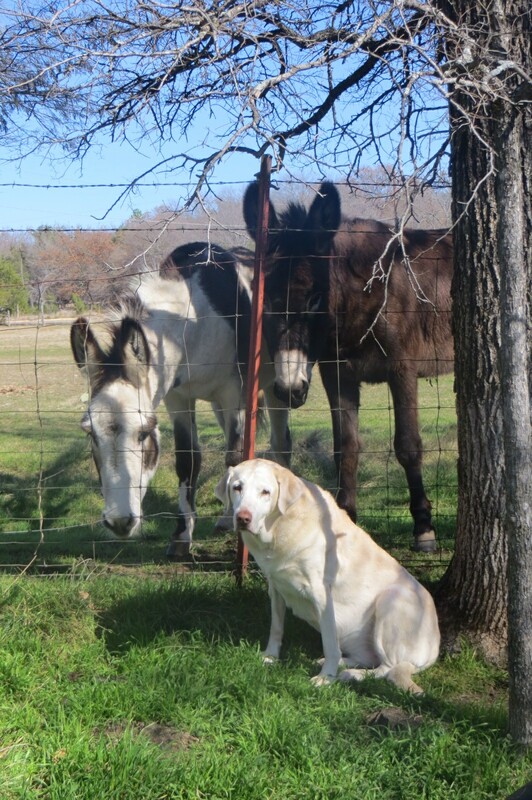 Did you know that donkeys are used as guard animals to take care of sheep and goats? There are lots of sheep and goats around where I live and most of those herds have donkeys that stay with them and watch out for predators like coyotes and mountain lions. We have some donkeys that live with our neighbors and visit us over our fence. They don’t have any sheep or goats. Just us to visit with. Spread some kindness today and keep smiling!